1 - 5 feet above ground., Rarely low in shrub or tree., Usually atop clump of grass or moss. Stems, bark pieces, moss and grass., Lined with feathers, fur, and hair. American Tree Sparrow: Medium-sized, gray-brown sparrow with black and rufous-brown streaks on back and wings. 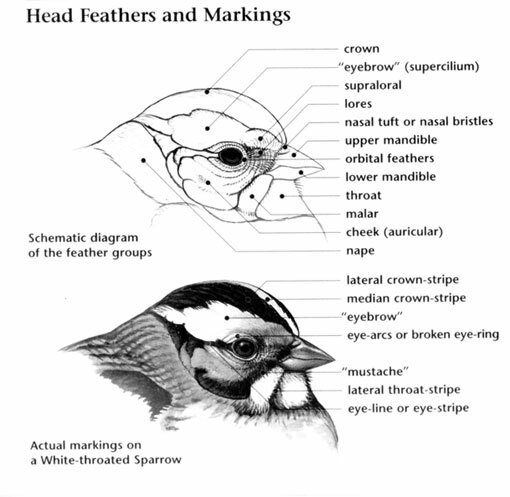 Crown, eyestripes, and flanks are rufous-brown, contrasting with gray face. Breast is pale gray with dark central spot and rufous-brown sides. Upper mandible is dark gray and lower mandible is yellow. Sexes are similar. Winter adult is duller. Juvenile shows less rufous-brown and has a messy, streaked appearance on head and breast. American Tree Sparrow: Three to seven light blue or green eggs with brown spots and flecks are laid in a nest made of stems, bark pieces, moss, and grass, with lining of feathers, fur, and hair. Nest is normally built atop a clump of grass or moss, rarely low in a shrub or tree, 1 to 5 feet above the ground. 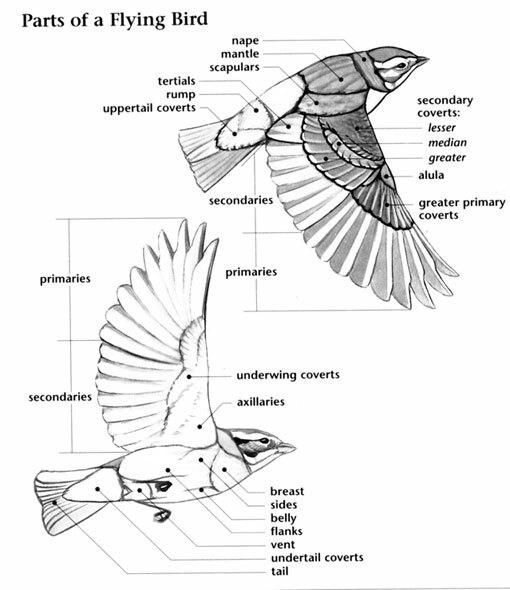 Incubation ranges from 12 to 13 days and is carried out by the female. American Tree Sparrow: Eats mostly seeds during winter; also eats insects, berries, and small flowers in the summer; scratches on the ground, foliage, or snow when foraging. American Tree Sparrow: Song is a series of clear introductory notes followed by a variably trilled melody. Call is "tweedle-eet, tweedle-eet." 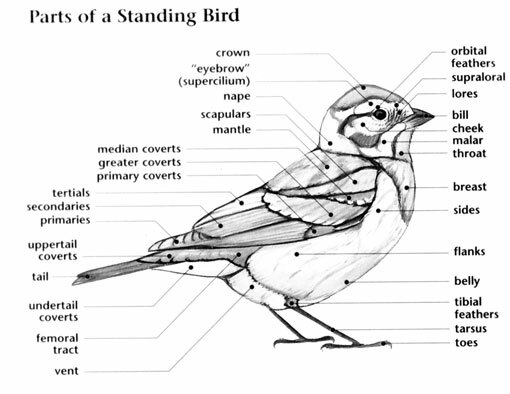 American Tree Sparrow: Field Sparrow is smaller, has pink bill, and lacks central breast spot.